In small bowl, mix all vinaigrette ingredients. Arrange lettuce on large serving platter. 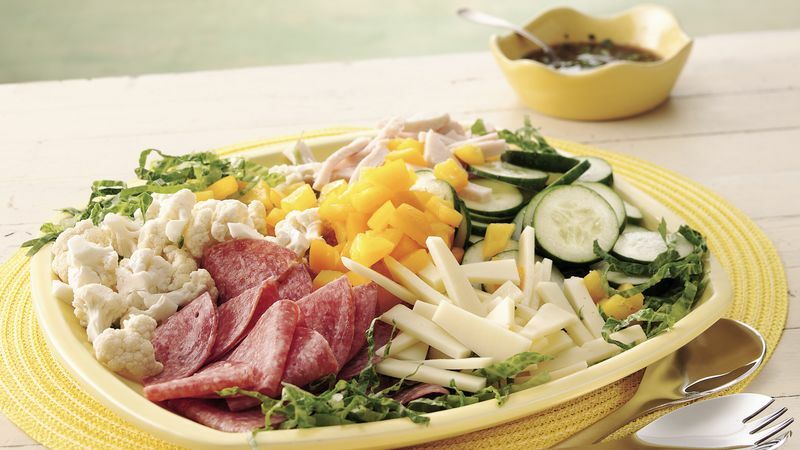 Arrange chicken, salami, cheese, cauliflower, cucumbers, tomatoes and bell peppers over lettuce. Drizzle vinaigrette over salad. If desired, partially cook the cauliflower in boiling water for 2 to 3 minutes. Drain and rinse it under cold water. In a hurry? You can substitute a bottled balsamic vinaigrette dressing for the dressing in this recipe.